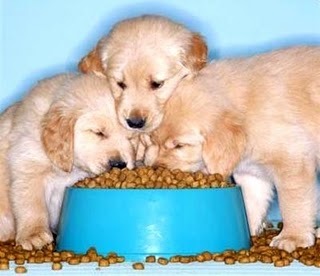 The cost of dog feed is one factor that is most important in the case of feeding of dogs with different kinds of food items. Yes. This is true. The cost factor needs to be looked into in various perspectives during the preparation of the food items, required for the balanced feeding of dogs with proper vitamin and mineral supplementations in the food. Cost will not always matter much because the dog’s value is being assessed in terms of companionship and the happiness derived from the dog to the dog owner. Though the cost of the food items is comparatively more, many dog owners don’t mind much due to the increased benefits derived from their dogs in terms of protection, guiding, etc. Selection of ingredients for the home made food needs to be however based on the quality factor. Even when the quality is more, general persons may seek some cheaper items only. Recommended nutrient contents may be obtained from the national nutrient academies in all nations and this will provide guidelines. One can correlate the cost factor with items available in their own country. Generally, the commercial food items are expensive especially the ones that use the modern technologies of food preparation like oven-baking, sterilization of cans, air drying or freeze drying of contents etc. Canned items cost more than the dry food items. However, the cost of the items depends on what kind of food item to be used for the dogs. Food allergies need to be monitored during usage of different food items in case of dogs due to the cheaper cost of the items. Often the quality need not be compromised because of the cost factor. Most of the dog food items nowadays have mentioned their cost in the label itself. Hence, the dog owner need not have any problem in taking a decision on the purchase.